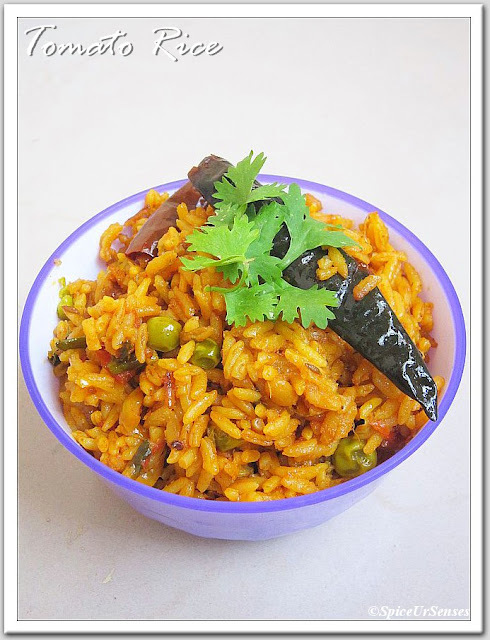 Tomato Rice.. Pressure Cooker Version. 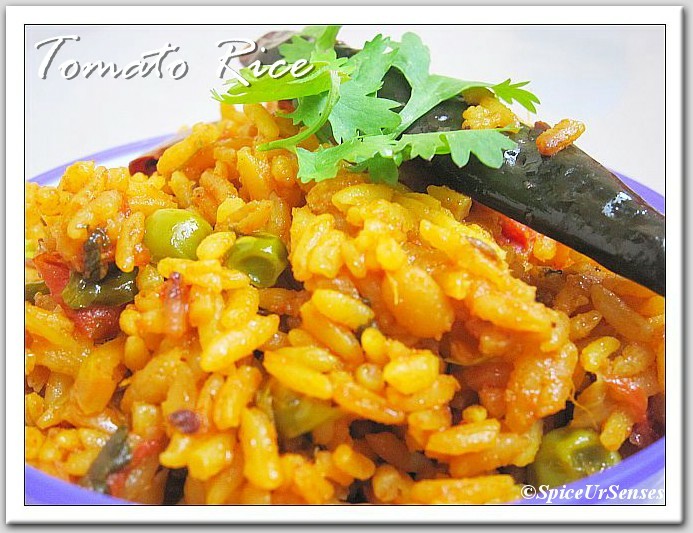 Tomato rice is one of the best rice dish in my opinion. Because it gives a very tangy taste and i love it. Even in my family also every one likes it. When i got newly married i was not sure to pack this rice for my hubby in his lunch bcoz i had no idea whether he will like it or not. Few months back i wanted to give something different for his lunch. 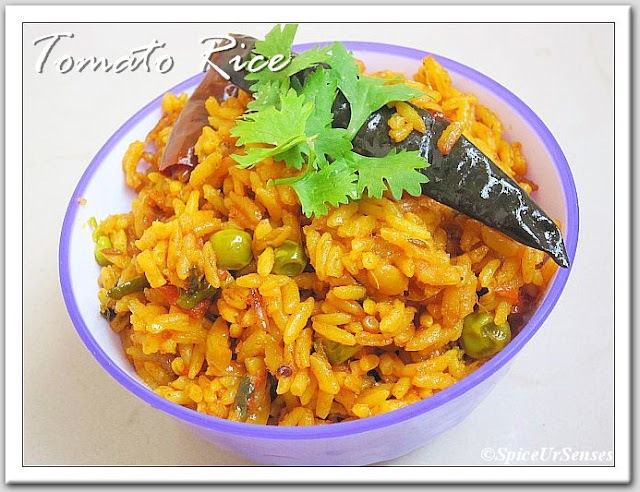 Without telling him i packed tomato rice for his lunch box and he liked it very much and he requested me to give tomato rice very often. My recipe is very different from a usual tomato rice. Do try and let me know..
Labels: cardamom, Cinnamon, Cumin, Curd, Kasuri meethi, Mint leafs, rice, Rice Items, Tomato, Tomato Rice. The pressure cooker version seems well done ! It's always helpful to find such one..Thanks Rumana. Do try and let me know dear.. Thanks for following me dear.. This rice looks amazingly delicious. I guess your blog is really fantastic than others. I been searching just like this but your blog really appears. Well, Thanks for the post.